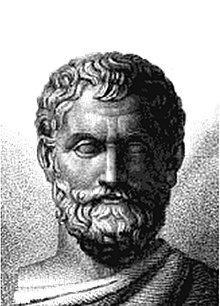 Thales (Θαλῆς; c. 624 BC – c. 546 BC) was a Greek philosopher and one of the Seven Sages of Greece. He has been called the "father of science." Nothing is more active than thought, for it flies over the whole universe; nothing is stronger than necessity, for all must submit to it. Water is the first principle of everything. Also translated as: "Many words do not declare an understanding heart." Cf. Plato, Charmides 164: "τὸ γὰρ Γνῶθι σαυτόν καὶ τὸ Σωφρόνει ἔστιν μὲν ταὐτόν". Time is wisest because it discovers everything. 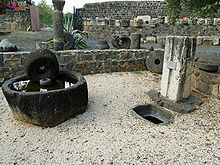 Thales asserted Water to be the principle of things. For he saw that matter was principally dispensed in moisture, and moisture in water; and it seemed proper to make that the principle of things, in which the virtues and powers of beings, and especially the elements of their generations and restorations, were chiefly found. He saw that the breeding of animals is in moisture ; that the seeds and kernels of plants (as long as they are productive and fresh), are likewise soft and tender; that metals also melt and become fluid, and are as it were concrete juices of the earth, or rather a kind of mineral waters; that the earth itself is fertilised and revived by showers or irrigation, and that earth and mud seem nothing else than the lees and sediment of water; that air most plainly is but the exhalation and expansion of water; nay, that even fire itself cannot be lighted, nor kept in and fed, except with moisture and by means of moisture. He saw, too, that the fatness which belongs to moisture, and which is the support and life of flame and fire, seems a kind of ripeness and concoction of the water. Thales had a motto — sophotaton chronos aneuriskei gar panta — which means time is wisest because it discovers everything. We still live by that motto — we mark the time and aid the discoveries by keeping the soul lines intact. It seems probable that the early Greeks were largely indebted to the Phoenicians for their knowledge of practical arithmetic or the art of calculation, and perhaps also learnt from them a few properties of numbers. 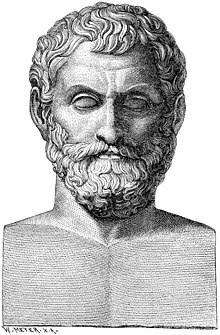 It may be worthy of note that Pythagoras was a Phoenician; and according to Herodotus, but this is more doubtful, Thales was also of that race. With regard to the Pythagorean theorem my conjecture is that... it was known to Thales. ...the hypotenuse theorem is a direct consequence of the principle of similitude, and... Thales was fully conversant with the theory of similar triangles. The more one studies the period of Thales—the more one compares the knowledge he bequeathed to prosterity with the one he had found when he began his work—the more does his mathematical stature grow, until one is impelled to range Thales with such figures as Archimedes, Fermat, Newton, Gauss and Poincaré. Thales the teacher produced the first geometers, even as Thales the thinker founded the first geometry worthy of the name. While [Thales] was studying the stars and looking upwards, he fell into a pit, and a neat, witty Thracian servant girl jeered at him, they say, because he was so eager to know the things in the sky that he could not see what was there before him at his very feet. [Thales] first went to Egypt and hence introduced this study [geometry] into Greece. He discovered many propositions himself, and instructed his successors in the principles underlying many others, his method of attack being in some cases more general [i.e. more theoretical or scientific], in others more empirical [...more in the nature of simple inspection or observation]. Proclus, A Commentary on the First Book of Eudlid's Elements (c. 450 AD), as quoted by Thomas Little Heath, A History of Greek Mathematics (1921) Vol. 1, p. 128, citing Proclus on Eucl. I, p. 65. 7–11. 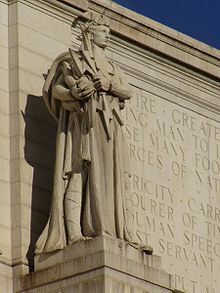 According to tradition, Thales is the first to reveal the study of nature to the Greeks; although he had many predecessors, in Theopharastus' view, he so surpassed them as to eclipse everyone before him. This page was last edited on 5 April 2019, at 16:06.